Hydrogen and fuel cell markets have progressed in many regions around the world; however, the sectors in which they have progressed vary. Last month at the F-Cell Conference in Stuttgart, Germany, large industry players from around the world came together to discuss the latest updates in fuel cell technology and projects. 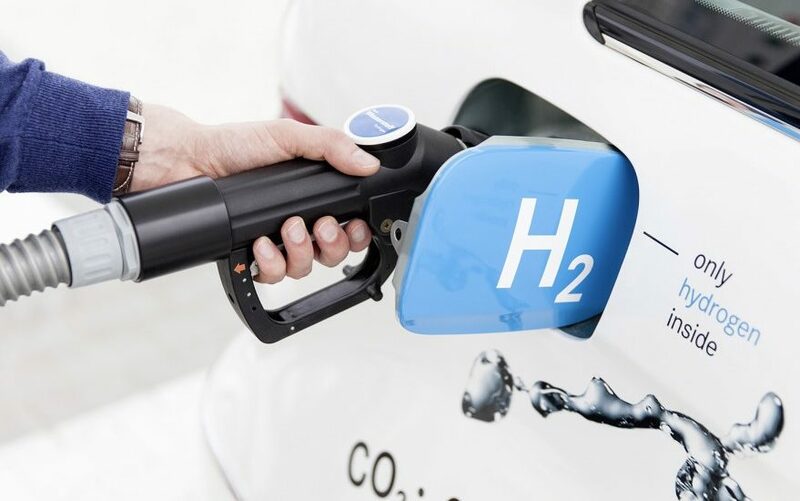 Interestingly enough, the location of the conference—Germany—shined a spotlight on one of the more disappointing regions for hydrogen compared to the promise it once had. With 50 retail stations now open, Germany has one of the most robust hydrogen fueling infrastructures in the world, behind Japan. However, the issue is the lack of fuel cell vehicles (FCVs) on the road, totaling only a few hundred compared to the 5,000 FCVs on the road in California alone. Germans, staying true to their reputation of premier automakers, prefer to drive German cars. The problem is the German carmakers, Daimler (Mercedes-Benz), BMW and Volkswagen have all but completely abandoned fuel cell vehicles in favor of battery electric vehicles (EVs). This summer, Daimler announced the closure of its fuel cell stack development joint venture with Ford, the Automotive Fuel Cell Cooperation based in Canada. Both companies will take fuel cell stack development in-house. The release of the Mercedes-Benz GLC F-Cell last year was met with much enthusiasm and excitement from the global fuel cell car community, which has been lacking a luxury car option. However, this excitement was short lived with a very small number of GLC F-Cells scheduled to be produced and most will stay within Germany. Daimler is expected to complete a limited production run of these vehicles, then abandon the model. BMW is looking at providing fuel cell system components to the heavy-duty market but has no plans to release a fuel cell passenger car within the next 3+ years. In addition, Volkswagen (VW) has doubled down on EVs after dieselgate, which did nothing but add to their sales with a record setting year in 2017 and an expected record year in 2018 as well. Audi, which is owned by VW, is the only German car brand taking fuel cell vehicles seriously. The company has entered a 3.5 year agreement with Canadian fuel cell company, Ballard Power Systems, and a collaboration with Hyundai on fuel cell technology. Audi is scheduled to release its h-tron quattro concept in 2020; however, the production run number is unknown. Another barrier for Germans is the high lease price for FCVs compared to other global regions such as California. In Germany it will cost you more than 1,000 euros per month to lease a Toyota Mirai, while in California the same car can be leased for $349 per month, including free fuel for the length of the lease, and a $5,000 cash rebate from the state. The main driver is that the low lease prices are government incentives, which Germany lacks, thus the embarrassingly low number of fuel cell cars on the road. However, Germans do have reason to be proud with the world’s largest PEM electrolyzer to be installed at Shell’s Rhineland Refinery. Also, 100 hydrogen fuel passenger trains will be deployed across the country, with the first already in service in Bremervorde, Germany, and an additional 14 going to Lower Saxony by 2021. Ballard and Siemens have reached an agreement to collaborate on passenger trains, while Alstom has plans to build over 100t rains. Norway continues to push forward with ambitious plans for renewable hydrogen production, and fuel cell technology for maritime vessels. One country that has everyone in the hydrogen industry watching is Norway. The wealthy Nordic country continues to push forward with its ambitious plans for renewable hydrogen production and fuel cell technology for maritime vessels. There is huge potential for hydrogen produced via electrolysis with wind power, amounting to a potential 100 terawatt hours by 2050. Due to the large cost of connecting remote, windy areas of Norway to the electrical grid, a more economically viable solution for energy storage and distribution is electrolyzing, storing and transporting hydrogen. Norway and Sweden have a Green Certificate Market to exchange renewable electricity and credits. Norway is already a net energy exporter, producing 10 times the amount of energy consumed. Due to the large demand for hydrogen from Japan, Norway is working with Kawasaki on large scale transport between the northern part of Norway to Japan. Starting in 2025, Norway will be able to export one full Kawasaki liquid hydrogen carrier per week. This will be produced by Equinor (formerly StatOil) from natural gas with carbon capture sequestration into underground caverns in the arctic sea, creating a zero-carbon supply chain. Researchers at SINTEF in Trondheim, Norway are focusing on renewable hydrogen production from wind, as well as the potential for hydrogen pipelines stretching from Norway into mainland Europe by 2025. With the mandate for all fjords to be “zero emission zones” by 2026, shipbuilders are increasing the effort to build battery electric and fuel cell ferries. The case for fuel cells on ferries is an easy one to make, as the longer routes would require 55 tons of batteries compared to ten tons of hydrogen and fuel cells. On a vessel, weight means a lot, similar to heavy duty trucks where the more payload capacity, the better it is for business. The first hydrogen car ferry will operate on the crossing between Hjelmeland-Nesvik starting in 2021. High speed passenger ferry concepts are being developed next year. Both fishing vessels, and oil and gas platform service vessels, are under feasibility studies to deploy hydrogen and fuel cells. There is a potential for up to 40 such ships in the next 15 years. The Norwegian government created an ocean strategy with three centers of expertise: maritime, subsea, and seafood. All three centers are looking at incorporating hydrogen platforms. The shipping industry in Norway is ready to use large scale hydrogen solutions. However, safety and standards for using hydrogen aboard vessels is still being researched. Most of the research is being done by DNV-GL, with pressure from Norway and the International Maritime Organization (IMO). Recently, a Norwegian study found that a properly installed hydrogen fuel cell system on a vessel will pose no more risk than its diesel counterpart. Global freight is expected to double by 2050, countries around the world are seeking zero and near-zero solutions. There is an increased interest in hydrogen for the heavy-duty market. Other parts of Europe are noticing the increased interest in hydrogen for the heavy-duty vehicle market. With global freight expected to double by 2050, regions and countries around the world are seeking zero and near-zero emission solutions because 39% of the global transport emissions are from trucks. Nikola is looking to take advantage of this focus with their Nikola Two, which is expected to have a 450-700 mile range with a 240kW fuel cell, a 125-250kW battery pack, and 80kg of hydrogen onboard. The Norwegian company Nel will be providing the stations starting with a 1-ton per day station in 2018. According to Nel, fueling the Nikola Two with 80kg of hydrogen will take 10 minutes. Nikola will own four 8-ton per day hydrogen stations, scalable up to 32-ton per day at 70MPa fast fueling by 2021. All the hydrogen for the Nikola trucks will be renewable from electrolysis. Hyundai has been quiet on heavy-duty trucks until last month when it announced the sale of 1,000 fuel cell heavy-duty box trucks to Switzerland’s consortium H2 Mobility Switzerland Association, to be deployed in stages starting in 2019 and finishing by 2023. The fuel cell system produces 190kW of power and has a range of about 250 miles. Infrastructure to support these trucks will be built by H2 Energy with an expected 50 stations required. China is the county with the most aggressive attitude towards hydrogen fuel cell technology and vehicles, coming from top government officials. The rollout of fuel cell vehicles in China over the next few years will be mostly trucks and buses. The government is subsidizing the buildout of hydrogen infrastructure with 4 million RMB per station. Currently, there are 12 stations in operation in China, with 27 under construction. In the past two years, the major fuel cell companies (Hydrogenics, Ballard, and PowerCell) have all opened offices in China. The country has its eye on becoming the world leader in fuel cell stack manufacturing with the help of foreign investment. They are expecting to produce two-million fuel cell stacks per year by 2020–all for transportation vehicles and trucks. China expects to have 100 stations and 10,000 fuel cell vehicles by 2020. The global buzzword around hydrogen right now is “sector coupling,” which means producing hydrogen through renewables for both the energy sector (grid balancing, gas grid decarbonization, etc.) and transportation sector (mainly commercial vehicles). Hydrogen will allow for the decarbonization of different sectors around the world while improving air quality, all in the effort to reduce the effects of climate change and reach the goals of the Paris Agreement. The steel industry has been looking at sourcing hydrogen to replace coal in their manufacturing process. Different colors of hydrogen (grey, blue, green) will play a role in the future, with blue growing through the increase of carbon sequestration. Blockchain will change the way hydrogen is bought and sold on a global market, as it allows sellers to set specific prices for different customers, and buyers to state what they’re willing to pay. This will greatly enable quick distribution to large companies using hydrogen for their manufacturing process, all the way down to nonprofits and schools looking for free hydrogen. The future is exciting, the future is here, and the future is hydrogen!